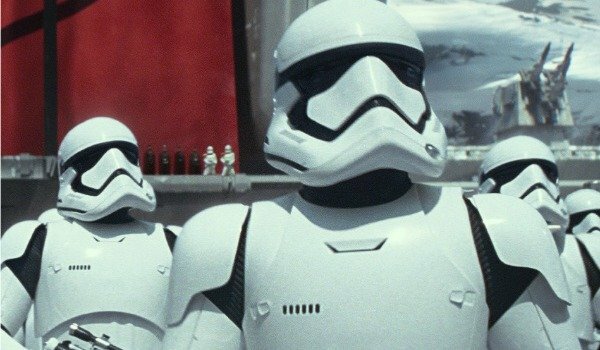 Do you know who is the MVP of Star Wars: The Force Awakens? Lawrence Kasdan. Oh, sure. J.J. Abrams directed a hell of a popcorn adventure, and it’s great to see original Trilogy veterans Harrison Ford, Carrie Fisher and Mark Hamill back in this universe. But Kasdan’s screenplay – co-written by Abrams and Michael Arndt – weaves the classic Star Wars mythology while laying groundwork for the next generation. Also? It’s funny as hell. 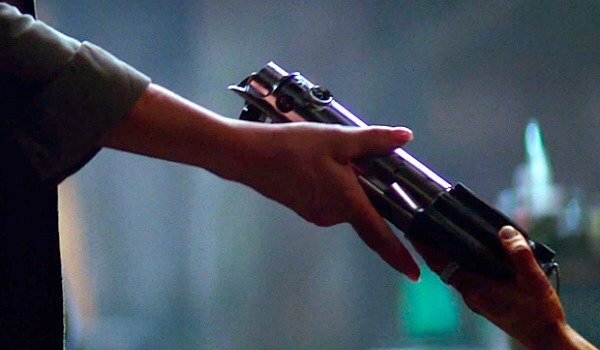 There are so many great lines of dialogue, so many meaningful conversations, what caught our ear during multiple Star Wars: The Force Awakens screenings. These are our favorites. Which one is yours? "So, who talks first? Do you talk first?" This is the line that let me know we were going to be in for an entertaining ride. No taxations of trade routes. Just energy, attitude and fun. 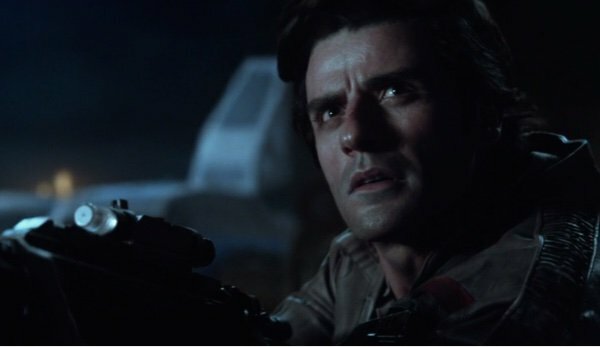 Abrams proved he could bring a little tongue-in-cheek humor to the Star Trek universe with his 2009 jump start, and Oscar Isaac’s fantastic verbal brush off of Kylo Ren (Adam Driver) got The Force Awakens off on the right foot. "I know all about waiting. For my family. They’ll be back. Some day." 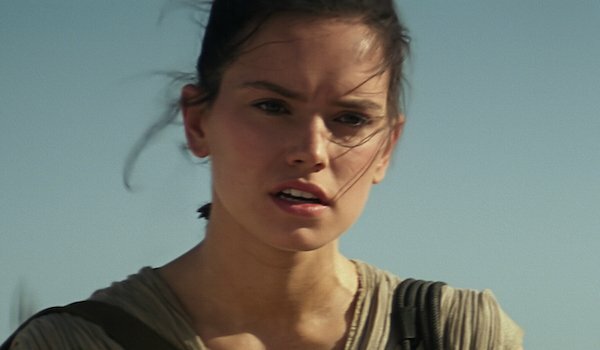 The mystery of Rey’s family powers a good portion of The Force Awakens. She keeps wanting to return to Jakku because she thinks they will return And during the flashbacks triggered by touching Luke’s lightsaber, we see young Rey screaming at a spaceship that leaves her on Jakku. Who is piloting that? Could it be Luke Skywalker? "I am with the Resistance. This is what we look like. Some of us look different." How is it that Finn is able to resist his programming and do the "right" thing, turning from FN-2187 to the helpful Finn? We’re not entirely sure yet, and I assume this is a point that will be explored by the upcoming chapters of the new trilogy. But as Finn continues to deceive Rey, he tap-dances around the truth with this clever, funny line. During our screening, this was the first applause break from the audience. A slight dig at the Millennium Falcon, which once was thought to be the "fastest hunk of junk in the galaxy." This ship is dismissed by Rey (Daisy Ridley) right before the old girl saves their bacon during a thrilling flight sequence. 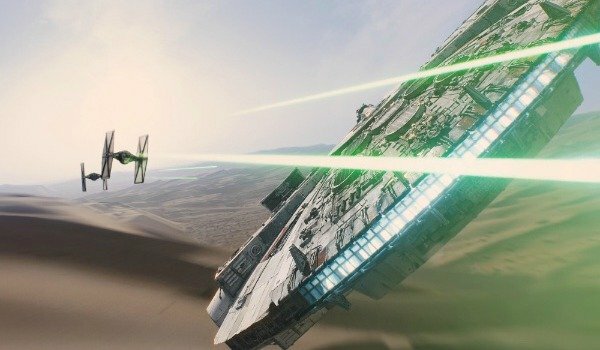 Watching the Falcon take flight, and eventually carry Finn, Rey and BB-8 to safety, was one of the most exhilarating moments in the entire film. Harrison Ford’s first words in a Star Wars movie in decades. No longer with Leia Organa (Carrie Fisher), the smuggler is back working with Chewbacca. 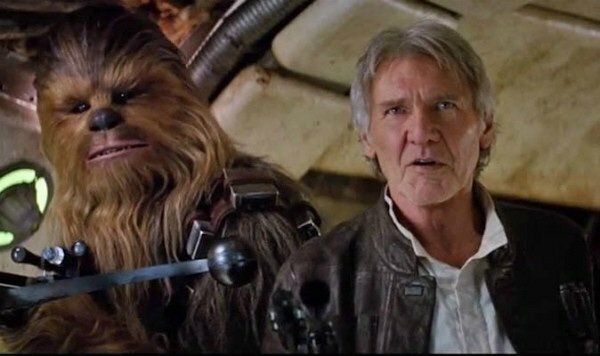 They come across the Millennium Falcon, which has changed owners over the years. But Han knows, his adventure is just beginning. "It’s true. All of it. The Dark Side. The Jedi. They’re real." Star Wars: The Force Awakens does a pretty good job of taking the classic Star Wars characters and shaping them so that they fit into established roles from the previous films Luke has a bit of Yoda in him, escaping to a remote location when a pupil turns evil. 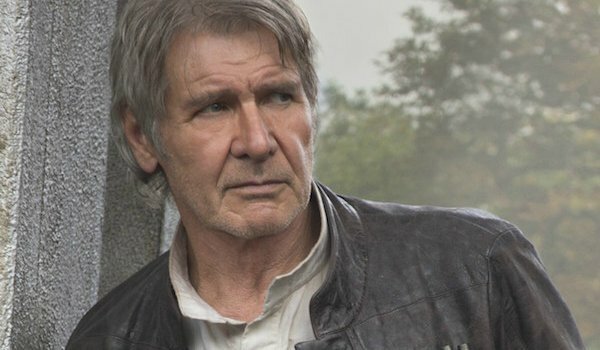 And Han serves as Ben Kenobi in Force, a veteran of some ridiculously dangerous times who has lived to tell the tale of The Force, the Dark Side, and the Jedi. He’s passing that knowledge on to the next generation, and helping them prepare for what may come next. "If you live long enough, you see the same eyes in different people." 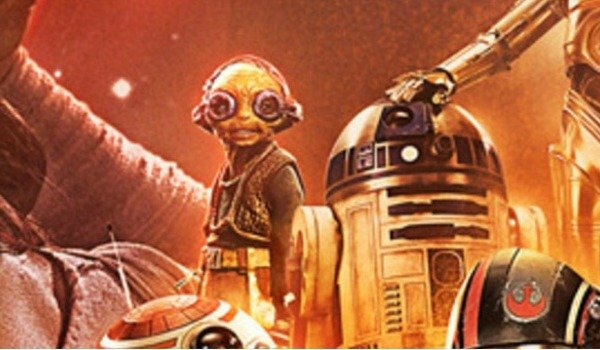 Maz Kanata (Lupita Nyong’o) is one of several Force Awakens characters who I wish we got to spend more time around. How does she have Luke’s lightsaber? Han says that she has run her watering hole for 1,000 years. What do you think she has seen in that time? Her line above, about seeing generations pass down from one to the next, hints at her legacy, and it’s one I hope we are able to explore further some day. "These are the first steps…"
Possibly my favorite line of dialogue, because it hints at what’s to come. This is whispered as Rey’s flashback – after touching the lightsaber – fades away. What does she see during these sequences? 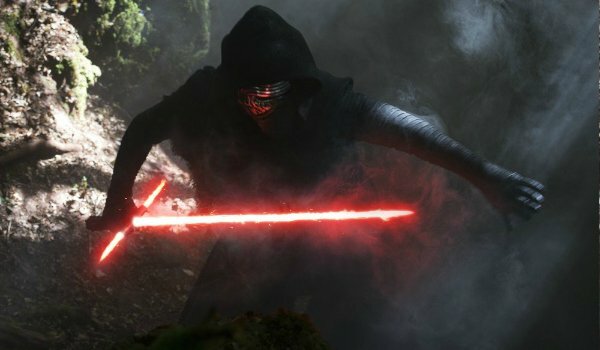 Are the scenes with the Knights of Ren a flash-forward? She definitely looks back, to the day she is left in Jakku. But who whispers the above line of dialogue to her? I can’t wait to find out more. "Luke is a Jedi. You’re his father." Ah, the Star Wars fascination with living up to one’s paternal figure. 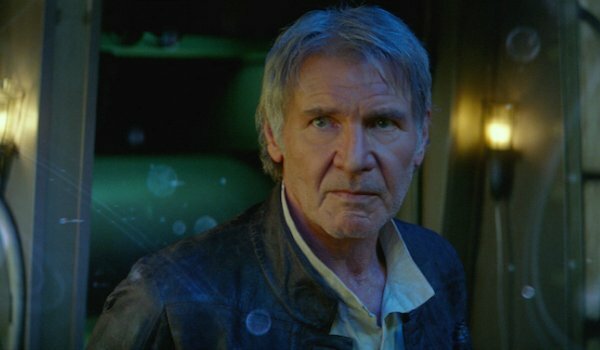 In trying to convince Han to go after his wayward son, Ben Solo, General Leia plays the Daddy Card, telling the old nerf herder that he can connect with his son before it’s too late. As Han will find out – in a painful fashion – his son is too far gone, the grip of Snoke (Andy Serkis) wrapped too tightly around this Dark lord. "You will remove these restraints and leave this cell with the door open." Both a humorous scene, and an indication of how strong Rey is with The Force. She gets the better of a clueless Stormtrooper (played by Daniel Craig, as we now know), pays homage to Obi-Wan’s Jedi mind trick, and gets a weapon in the process. Win, win. "That’s not how The Force works!" 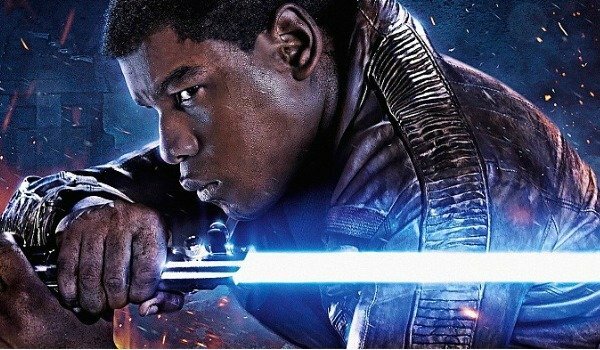 Heading in to a difficult situation, the naïve Finn (John Boyega) just assumes that The Force will protect them. Like Harry Potter’s invisibility cloak. 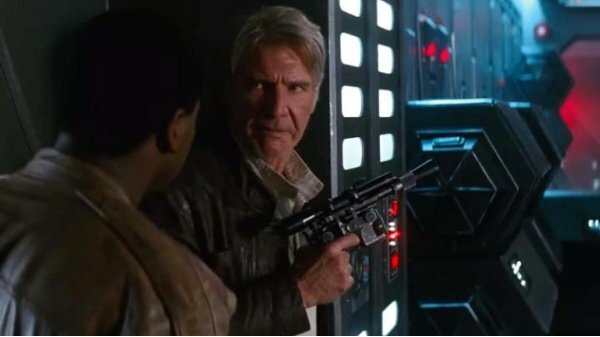 So, Han has to set him straight, telling him to wisen up, kid. And if anyone should know how the Force works (and doesn’t work), it’s Han. "Is there a garbage chute? Trash compactor?" 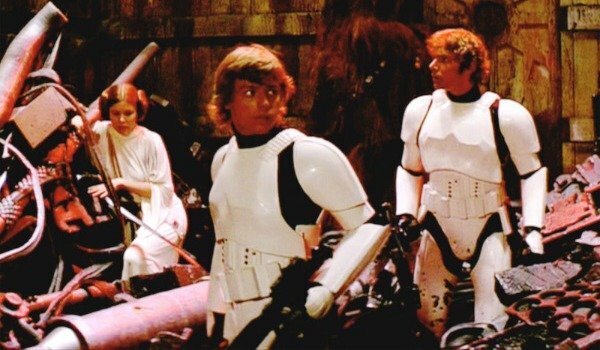 One thing that The Force Awakens does really well is avoid obvious callbacks to the Original Trilogy. J.J. Abrams and Lawrence Kasdan could have easily peppered in numerous references to A New Hope or Empire Strikes Back. But the glint in Harrison Ford’s eye when he suggests dumping the captured Captain Phasma in a garbage chute puts this delicious nod to A New Hope on this list. "I’m being torn apart. I want to be free of this pain." With these two lines of dialogue, the brilliant Adam Driver injects more regret, fear, anger and despair into Kylo Ren then Hayden Christensen put into Anakin Skywalker in the last two Prequel films. His delivery on that end of the conversation with Han lured us in… as it lured his father in. So when Ren ignites the blades of his saber, it hurts us almost as much as it hurts Han. Of course that’s the last line of spoken dialogue in J.J. Abrams’ Star Wars movie. So appropriate. 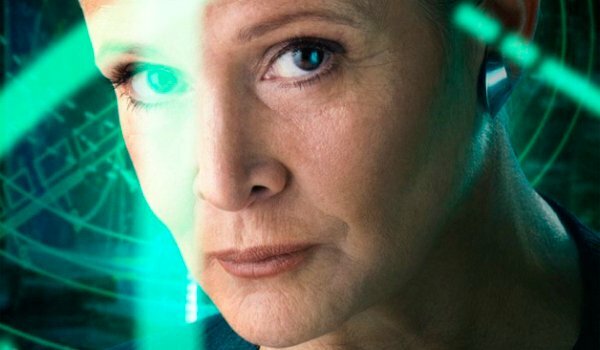 The classic send off is spoken by Leia (Carrie Fisher), send Rey – her niece? – off to find Luke Skywalker. She does, after wandering around a remote island in a wordless sequence. She offers Luke his lightsaber back. The score swells. And the credits begin. See you all in 2017, for Rian Johnson’s Star Wars: Episode VIII.